Mouse anti Human CD236 antibody, clone BRIC4 recognizes the erythrocyte transmembrane glycoprotein CD236, also known as glycophorin C (GPC). CD236 is an integral membrane protein which carries the Gerbich blood group antigens. Expression of CD236 is not restricted to erythroid cells, but is broadly distributed in both erythroid and non-erythroid tissues.  Mouse anti Human CD236 antibody, clone BRIC4 specifically reacts with an epitope located within residues 2-21 of CD236. Anstee, D.J .et al. (1984) Two individuals with elliptocytic red cells apparently lack three minor erythrocyte membrane sialoglycoproteins. Biochem J. 218 (2): 615-9. Dahr. W/ et al. (1989) High-frequency antigens of human erythrocyte membrane sialoglycoproteins. VI. Monoclonal antibodies reacting with the N-terminal domain of glycophorin C.
Biol Chem Hoppe Seyler. 370 (8): 849-54.